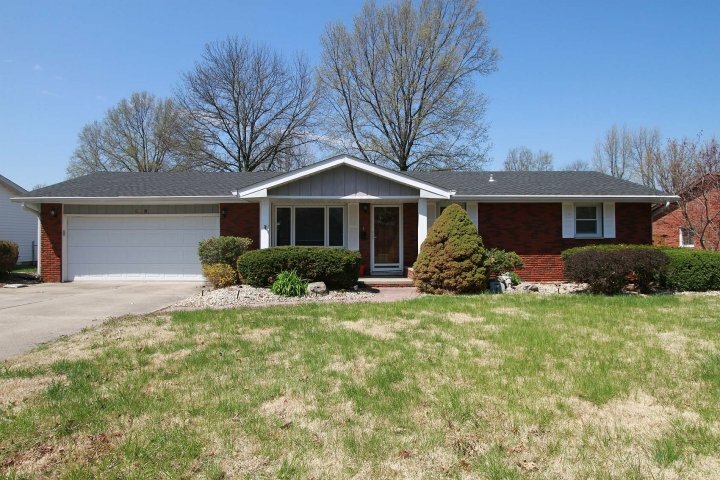 This charming, meticulously maintained ranch is ready for you to call Home! Large archway between the living room and dining room give an open floor plan feel. The sliding glass door opens up to a patio, which makes this home perfect for entertaining or relaxing- enjoying the peaceful 100x150 corner lot w/mature trees, fenced yard, newly redone beautiful lawn, and fire pit. 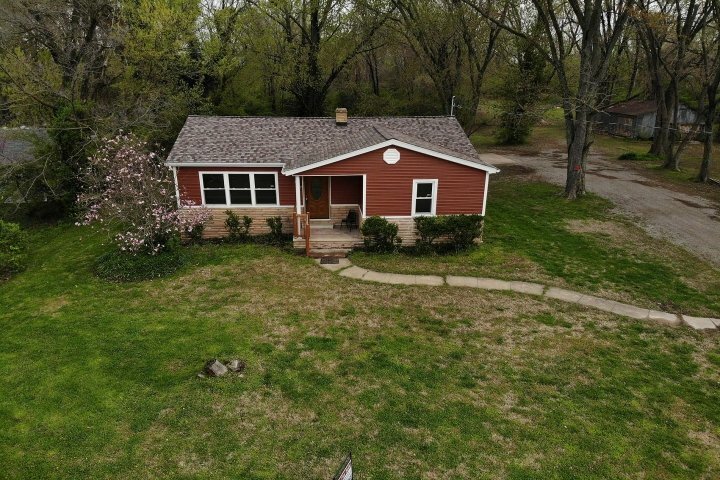 Home has an attached 1 car garage, an area for parking on the side of the home, an oversized 2 car detached garage w/space for a workshop/hobby area, as well as a concrete pad big enough to park an RV. Home has storage areas in the utility closet, hall closet, and loft above garage. New carpeting 2018 and fresh paint throughout. The master bedroom has a newly remodeled beautiful closet- A must see! This home boasts beautiful updates & modern amenities while maintaining all of it�s historic charm. 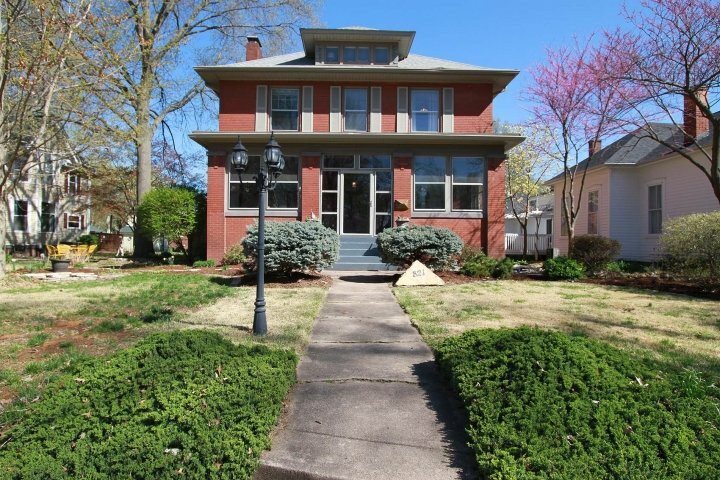 Located in the heart of wonderful downtown Edwardsville- close to Restaurants, Shopping, Schools, Parks, & Bike Trails- You can�t beat the location! Tall ceilings and large windows throughout make every room comfortable & inviting w/lots of natural lighting. Living room and Dining room have newer wood flooring with original wood work as well as a beautiful and stately pocket door between the two rooms. Farmhouse style table stays w/home as well. Kitchen updated in 2017 and large pantry provides amazing storage. The 2nd floor and basement offer so much more potential for this wonderful home and can be finished exactly how you want. Basement roughed in for bath and has a walk-up access leading to the backyard as well. New furnace in Dec 2019, New water heater in '15 and newer windows. 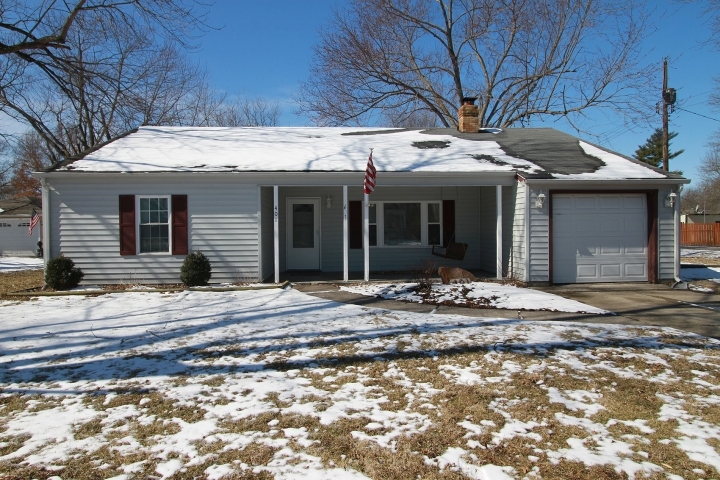 Oversized 2.5 car garage gives this home added value- rare find in downtown Edwardsville! Shared driveway. Best of both worlds with this home! 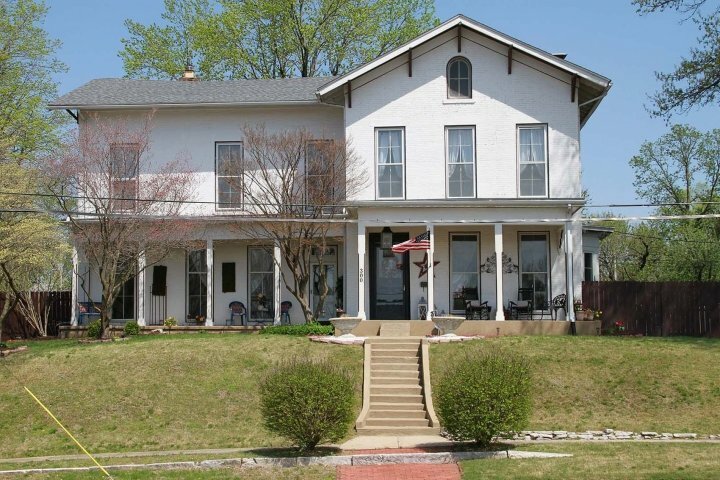 Get the feel of living in the country, with a 1/2 Acre, with the ease of living in town. You can't find a better location with Tri-Township Park visible from the front door! 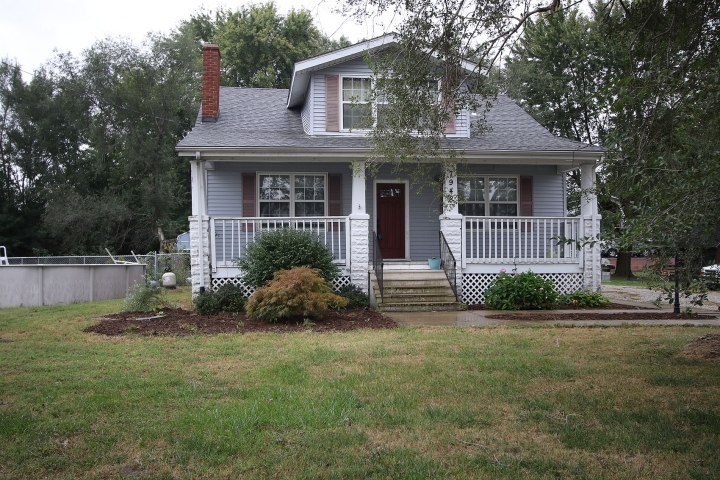 This home has the Bungalow Charm throughout- including a large covered front and back porch, beautiful archways, large windows that bring in lots of natural sunlight, tall ceilings, wood floors & original woodwork. Kitchen has been updated with all new appliances. Separate Dining area is in the heart of the home and offers a great gathering space for family and friends. 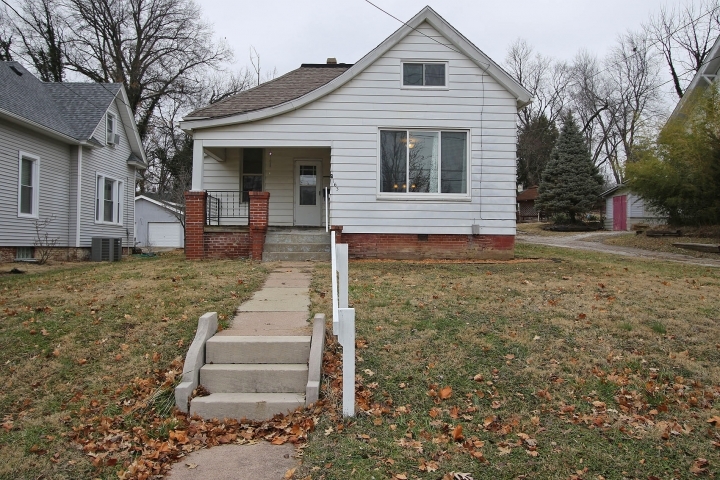 Two spacious bedrooms & 1 bath on the main floor as well as 2 bedrooms and 1 bath on the 2nd story give this home plenty of space for your family to enjoy. Pool and pool equipment stay. Shed out back as well as a play fort. Partially fenced yard. You can't find a better home for the price in a better location in the Triad School District- Schedule your showing today! The best of both worlds- you�ll get the feel of country living w/the convenience of being located close to town with this spacious, open floor plan, 5BR Ranch on 1.13 Acres! Enjoy the peaceful yard from your wrap around porch or from the deck that leads to the 27 ft above ground pool. The oversized 3 car garage leads into the large laundry/mud room off of the kitchen. Kitchen features huge walk-in pantry, granite countertops, & deep sink. The living room has been updated w/durable bamboo wood flooring and each bedroom has a walk-in closet. The extra wide basement stairs make a statement as they lead you to the fully finished basement with porcelain tile, xl family room, 2BR�s with big egress windows, an additional laundry room, and bathroom with a whirlpool tub. Other updates include new roof in 2017, trex decking, and lighting. 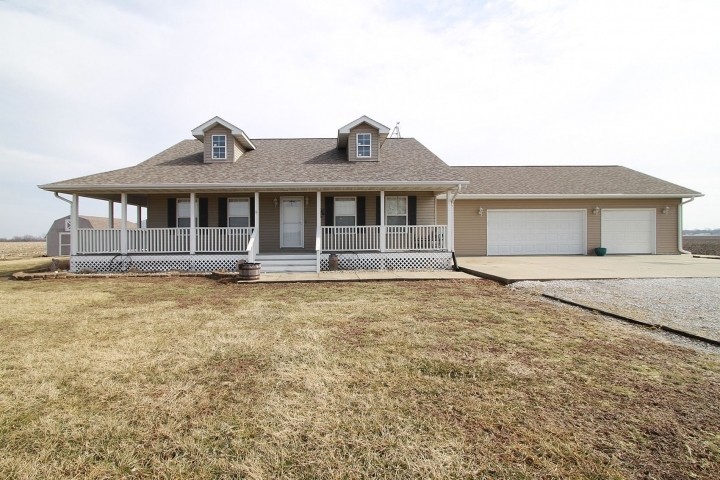 The property includes a 16x24 barn w/loft, 9x12 out building, playground, and play house. The home has city water but also has a well to water plants.